At LFSRM, we believe there is no such thing as “other people’s kids.” Through our Foster Care Program, we work diligently with our families to support them through the foster process and beyond. We provide skilled, caring substitute families for children unable to live with their birth families. Most children in foster care have been abused or neglected. Foster families provide children in foster care with a safe, nurturing home. In addition, they work with LFSRM staff to address each child’s individual needs. We provide the support, you provide a stable home, structure, and love. we need families – You can make a difference! Each year in Colorado, thousands of children are unable to live with their biological parents because of abuse or neglect. Some of these children have witnessed domestic violence. Many have never experienced a birthday party or a sleepover with friends. Too many don’t know from day to day whether they will have a meal or a place to sleep. 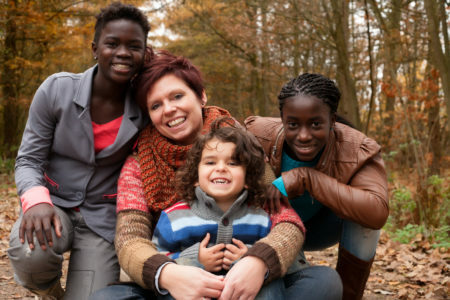 Lutheran Family Services Rocky Mountains can also assist with kinship adoptions. Grandparents who want to adopt their grandchildren, or other family members interested in adopting relatives, as long as all parties involved live in Colorado. Children under the age of 18, who have been resettled in the United States without a parent or relative to care for them are placed in LFSRM licensed foster homes under our URM Program. These foster parents have received special training on the adjustment needs of refugee youth.